The URBED Trust has been set up as a foundation to promote research and the discussion of cities, urban regeneration, and urbanism. The Trust’s main aims are to promote research, debate, and discussion into city development across the world, with the SURGe toolkit being its first major project. The Trust is a natural extension of the work of URBED (Urbanism, Environment and Design) which started life more than 40 years ago in London’s Convent Garden, and now works as a cooperative from its base in Manchester. URBED is an award-winning practice that undertakes urban design, sustainability and community engagement work for public and private sector clients across the UK, and has transferred this experience, expertise, and resources into the work the Trust and plans to do. Vidhya Mohankumar – The Urban Design Collective. 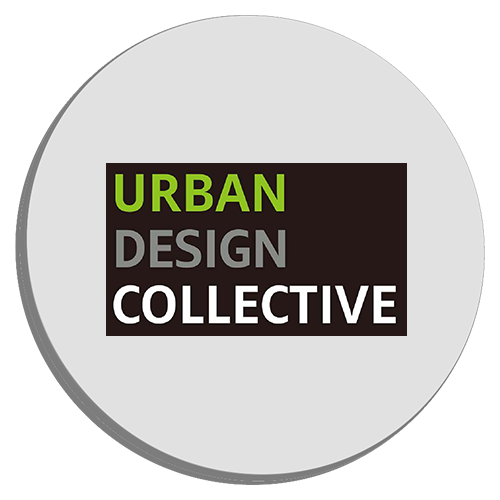 The Urban Design Collective is a collaborative platform for architects, urban designers and planners to create livable and sustainable cities through community engagement. Vidhya Mohankumar – the founder and director – is an architect and urban designer with over a decade of work experience in India, Ireland and the United States and has a passion for creating livable and sustainable cities. She began working with the SURGe project in August of 2017, and has been working with the SCAD team on the ground in Tirunelveli aiding the design and development of the eco-houses. SCAD (Social Change and Development) is a non-profit non-governmental organisation based in Tamil Nadu, India. The organisation is dedicated to empowering the marginalised communities of the region, and has been extremely successful in this since starting in 1985, having helped over 600 villages (a combined population of around 600,000) using their community empowerment approach. As well as this, SCAD have made huge leaps in the development of educational networks throughout Tamil Nadu, as well as pioneering a vast number of sustainable development strategies. It is this latter focus of sustainability that SCAD has teamed up with SURGe in order to combine expertise and joint-innovate on a new sustainable approach to urban design in the region – with the first step being to construct experimental eco-houses. ConnectedCities is an organization and concept inspired by Ebenezer Howard’s Social City, and strives to build upon Howard’s theory by producing plans for the extension of preexisting towns under the principles of sustainability, denser urbanization, walkable neighborhoods, and the accommodation of individuality in places. ConnectedCities has been collaborating with SURGe and has produced a case study of the Tirunelveli region, exploring whether their theoretical principles can be applied abroad on the continent of India, as well as providing useful data and resources crucial in carrying the SURGe project forwards.